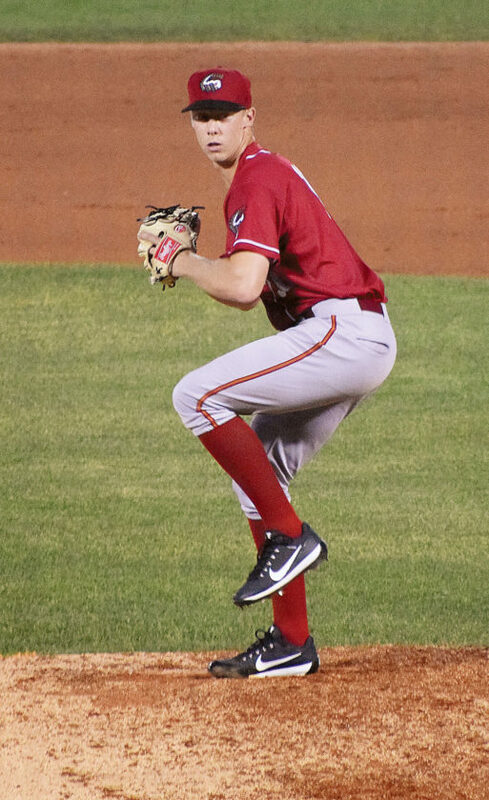 Logan Sendelbach, a Hopewell-Loudon and Tiffin University graduate, pitches for the Altoona Curve, Double-A affiliate for the Pittsburgh Pirates, during a minor league baseball game against the Akron RubberDucks at Canal Park in Akron Friday night. The RubberDucks won, 4-3. Sendelbach retired the lone batter he faced Friday.